If you have a website then you’ve probably thought about design quite a bit. What does design contribute, though? The heart of design is the creation of order. Intentional design lets us organize things in an elegant and planned manner. Creative Design observes from multiple perspectives and considers all options, no matter how wild, before settling on the best scenario. Your designer should listen to your challenges and goals, consider the emotions you want to evoke, and offer a framework that’s intuitive. Good design is easy to digest, intuitive to understand, and engaging. Design isn’t about having the coolest or prettiest site on the web but about making things easier. What good is a page that dazzles the first time you visit but doesn’t give you what you came for? Lay the ground work for clear and relevant information and then add in the appropriate level of fun for your target audience. Your end result might be cool and pretty, but only if cool and pretty also result in something engaging and helpful to you or your users. Imagine how you’d feel if Microsoft decided that Excel needed animated widgets and multi-colored pizazz on every tab. It would be in your way. The same consideration should be given to web design. Design that solves problems and meets goals doesn’t happen by accident. It’s an intentional process that requires careful planning and empathy for your audience. Make sure your web designer takes time to learn what you need rather than simply offering you the latest trend. Each client has different goals. 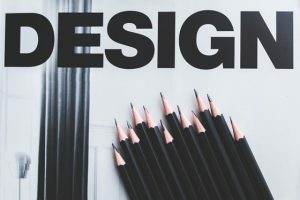 The age, needs, technological savvy, and abilities of your audience will drive your design right along with your brand guidelines.